Flying Returns is the Frequent Flyer program of Air India, the flag carrier airline of India. Flying returns is popular among Indian travelers who prefer Air India for domestic as well as international flights. We are revealing ten secrets of Flying Returns in this post. This secret knowledge about Air India Frequent Flyer program will boost your benefits of Flying Returns. We are letting these secrets out, as we launch our new post series called “Travel Hacking“. Please note that this is not a sponsored post for Air India Flying Returns. This post aims at providing tricks for better and cheaper Air travel. Some of the secrets are also applicable to other frequent flyer programs. Are you a member of Air India Flying Returns? If you are not, then you must become one. If you are, then you may be aware of common benefits of Flying Returns. In order to multiply your benefits by ten times, here are “Ten secrets of Flying Returns”. 1. Fly more with less miles. Do you love sale, discounts and offers? Well, most of us do. We generally miss air fare sale and discounts while redeeming our Flying Returns miles. For all of those who wish to fly more with less miles, our first secret is “Discounted Redemption”. This is not very frequent in frequent flyer programs, but it exists. Air India Flying Returns offers discounted redemption to its frequent flyer members from time to time. The last one from Air India offered 25% discounts on miles redemption in June 2014. If you want to fly more with less miles, you should keep track of this offer. 2. Earn more Flying Returns miles. Web Booking Miles – You should prefer booking the Air India flights online and earn 500 miles as web booking bonus. If more than one flying returns member is booked in the same ticket, each one of them gets the credit. In past, we received this bonus for onward as well as return flight, booked in the same PNR. This bonus is applicable for domestic as well as international sector. Class of Service Miles – You earn more miles depending on your class of travel. Double Miles – From time to time, Air India announces double miles on specific sectors for flights between specified periods. You should keep a track of miles statement of your flying returns account. If some miles have not been credited, you may drop an email to flying-returns.ai @ iclployalty dot com. 3. Pool your Flying Returns miles. Air India Frequent Flyer allows you to claim miles for your own air travels only. In case, your spouse is a frequent flyer, his/her miles may be claimed in his/ her account only. Basically, you cannot claim miles of air travels made by your spouse in your own account. However, there is a work around for this. Flying returns allows you to pool your miles with your spouse during redemption process. So next time, you are short of miles whilst making redemption request, you can simply tell the customer care to add the remaining miles from your spouse’s account. You must link your accounts beforehand to avoid last minute difficulties. In order to club your account with spouse’s, you need to write an email to Flying Returns at flying-returns.ai @ iclployalty dot com along with proof of marriage i.e. marriage certificate. In our case, they processed our request within one day. We made a redemption request over telephone with Air India customer care and requested them to pool miles. They obliged without any difficulty. In our opinion, this is a very important feature of Flying Returns for couples. 4. Short of miles? Buy them. Sometimes, Flying Returns members are unable to book an award ticket (ticket bought with miles) for the want of few extra miles. Our next secret solves this problem. You can buy miles at (current) rate of 1 INR/mile from Air India Office. The number of miles that can be purchased are restricted up to 50% of miles already in Flying Returns account. In case you book an award ticket after purchasing miles and cancel the ticket later, the purchased miles will not be refunded and would remain in your Flying Returns account. Basically, you can purchase one mile at cost of one Indian rupee. Does than mean worth of one mile is one rupee? Our answer is no, it’s more than that. Why? The answer is our next secret. We would like to prove with an example. Suppose, you need to book a ticket from Delhi to Sydney for 23 Feb 2015. 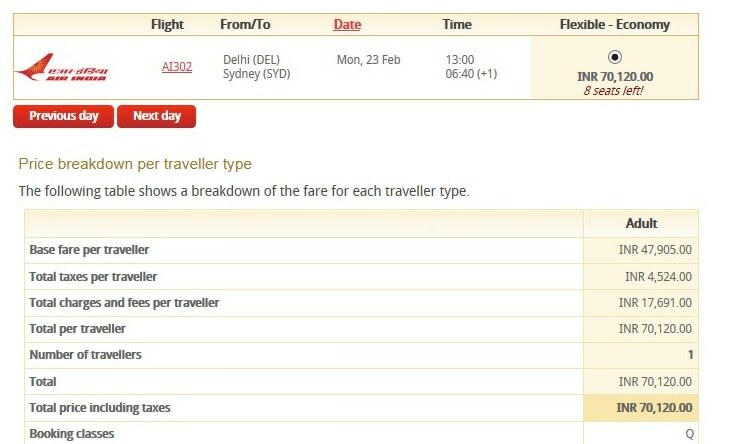 The cost of a normal Air India ticket found online is INR 70,120 per person one way (checked on 15 Feb 15). However, the cost of an Award Ticket on same date is 35000 miles. Well, You have to pay taxes and fuel charges too with an Award Ticket. So, the total cost of this Award ticket from Flying Returns is 35000 Miles + 17,691 INR. Basic mathematics – Let us assume cost of one mile is ‘x’. The worth of one mile is 1.50 INR and you can buy it at 1.00 INR (last secret). That is, 50% profit straight away and they said that “There’s no free lunch”. Well, we can always argue that we are talking about flights and not lunch. However, we have purposefully chosen a date that is recent. Also, season time begins in end February in Australia. Therefore, normal flight tickets are costly. Let us take another example. June is an off season in Australia and it is not recent when booking in mid February. We have found the lowest ticket of Air India at 36113 INR. Our ‘x’ has depreciated to 0.50 INR with an off season and more than three month advance booking. The take away is that if you want to travel in season time, you get more profit from your Flying Returns miles. The reason is that, the cash cost of a flight ticket varies depending on the season and your booking time. But, the cost of an award ticket remains same. For example, economy ticket from Delhi to New Zealand remains at 35000 miles throughout the year. Why cost variation happens in the normal ticket and not in an award ticket? Because, there is quota for Frequent Flyer seats in the flights throughout the year. Therefore, the award tickets are not affected by supply and demand. Let us compare cost of Award Tickets for one way flight for Domestic and International sector. Award Ticket for Delhi-Mumbai and Delhi-Paris costs 9000 and 25000 miles respectively for Air India Flying Returns members. Most of us know that it is very easy to get a flight ticket from Delhi to Mumbai in less than 9000 INR. However, it is rare and much difficult to get something below 25000 INR for Delhi-Paris sector. Isn’t it more prudent to use flying returns miles for international sector? Is Air India more benevolent towards international travelers? Obviously, there is a crux to this story and more obviously, that’s our next secret. Flying Returns members are required to pay taxes and surcharges while booking an award ticket for domestic sector. For international travel, Flying Return members are required to pay fuel charges in addition to the taxes and surcharges. Delhi-Mumbai: 9000 miles + 1035 INR (Taxes + Surcharges). Fuel Charges not paid. The fuel charges of Delhi-Mumbai are 2950 INR (current). In order to make a normalised comparison of domestic and international award tickets, we may equate these charges to 2950 miles at the rate of 1 INR/mile (current). That means, a Delhi-Mumbai award ticket costs 6000 miles (excluding fuel, taxes and surcharges) compared with Delhi-Paris award ticket at 25000 miles. Coming back to our questions. Is Air India more benevolent towards international travelers? No. Isn’t it more prudent to use Flying Returns miles for international sector? You need to do your own calculations. The cost of a flight ticket normally soar if you are travelling within two or three days. What if you are not sure about your plans even in the last few days? The cost of refundable flight tickets are much higher than non-refundable ones. 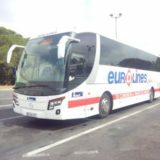 Normally, we do plan our travels and we book tickets in advance to save money. But, there are many occasions when we are not sure about plans even at the last minute. For example, you need to travel Delhi-Mumbai to attend a marriage and there is a slight chance of important company meeting on the same day. You cannot be sure till the last day. Similar scenarios happen in our lives when we are not sure till the last day. Consequently, the cost of tickets eventually steep so high on the last day that, we either cancel our travel plans or book flight at exorbitant price. Our seventh secret will save you in such situations. We follow this golden rule to always book an award ticket at such time. The good thing about an award ticket is that, its cost remains same throughout the year and yes, that includes the “the last day“. The other good thing is that, the award ticket is refundable. Yes, you read us right! Air India deducts 500 miles flat from the Flying Returns account as penalty charges for cancellation of an award ticket. In our opinion, 500 miles is cheap in comparison to cost of refundable flight tickets booked at last minute. Also, there is a provision of changing the date of travel for award ticket within one year. The charges are not mentioned in the terms and conditions listed on Air India website. We expect them to be either free or maximum 500 miles. 8. Are your miles expiring? Extend them. Air India Frequent Flyer miles earned in one calendar year remain valid till next three calendar years. That means if you have earned Flying Returns miles anytime between 01 Jan 2015 to 21 Dec 2015, they will remain valid till 31 Dec 2018. Though the validity is long enough, but what if we need more validity. 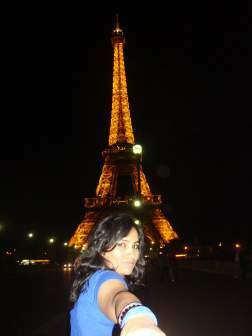 For example, you need to book return flight to Paris from Delhi for you and your spouse. You would need to accrue 100 thousand miles. In such a case, you may need validity for more than three years. Also, Flying Returns members end up taking an award ticket just because their miles are expiring. Our next secret provides you a workaround for this situation. Air India Flying Returns allows you to extend the expiring miles for a period of one year with payment of 0.10 INR/ mile. For our requirement of 100 thousand miles of Delhi-Paris-Delhi for two, we need to pay 10000 INR for extension of miles by one year. Are not you glad to know this secret? Just go ahead and extend your expiring Flying Return miles. Are you OK with the payment part? If the answer is still yes, then skip to the next secret. So, you are not OK with the payment part. Then, let us do this extension free of cost for you. Yes, you read us right again! If your miles are expiring by 31 Dec 2015 and you wish to travel from 01 Jan 2016 to 31 Dec 2016, then you can extend your Flying Returns miles absolutely free. You just need to know the destination and details of passengers. On the last day of validity of your miles i.e.31 Dec 2015, book an award ticket. If you know your date of travel, its good otherwise, book for the most likely date. The award ticket is valid for one year and you can always change the reservation within that year by paying nominal fees. 9. Fly with extra baggage allowance. This secret is known to most of the Flying Returns members that Air India Frequent Flyer Program allows its members 10 kgs additional baggage allowance on AI designated flights, both on domestic and international sector. However, the privilege is not extended in few sectors for example, US and Canada. Readers are requested to clarify from Air India customer care before availing this facility. The procedure to avail the facility is very simple. You just need to inform your Flying Returns Membership number to the Air India official while collecting the boarding pass. 10. Gift air ticket to friends & family. As Flying Returns member, you are permitted to request for an Award either for your own travel or for the travel of any person nominated by you. However, you are required to communicate the same while booking the ticket on Air India website or Air India call center. Further, it is advised that you provide a written letter granting permission to the nominated person. Now that you know the secrets, spread the word around. Share these secrets with your friends and family on social media through “Share This” icon below. We hope this information was helpful to you. Let us know your opinion and experiences through comments? Do you have other helpful information of Flying Returns? We do not mind this list growing. So, please share your valuable inputs with our readers through comments. 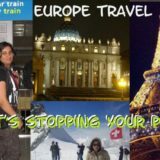 This post was first in series of “Travel Hacking”. 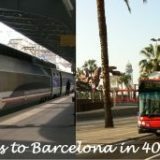 We have launched this new series to share special tricks and trips with our readers for better and cheaper travelling. Keep track of this series on our social media and feeds for getting more of such profitable updates. You may also subscribe to our blog and receive the updates directly in your inbox. Thanks for your wonderful comments. I will be writing on ways to get free flights in the march issue of travel hacking. Interesting stuff. Never looked at a frequent flyer program in such detail. Thanks for these amazing hacks. Cheers. Thanks Saikat. The march issue of travel hacking is going to cover more on frequent flyer miles and ways to get free flight. 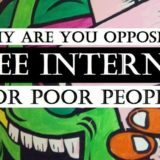 I am sure you will find it interesting. Thanks Param. I am sure you will like our March issue of travel hacking. We are going to write how to get free air India flights. Pls. could you advise how to Gold and Maharaja membership. Any suggestions or work arounds for reducing tax and fuel surcharge on flying returns International flight redemptions?